Traveling to Halong Bay gives us an opportunity to discover the region’s exquisite delicacy that owns its own color, flavor, and tastes which can’t be mistaken with other areas, and we call it ‘Cha Muc Halong’ (grilled chopped squid). Undeniably known as the unforgettable attraction for tourists when visiting Halong Bay, Cha Muc Halong is not only chewy, crunchy but also flavor-packed with distinctive flavors. 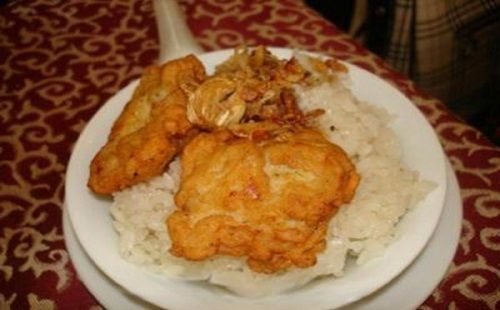 Its greasy and sweet taste of squids combines quite well with the appealing flavor of glutinous rice, which only makes the whole dish become more savory to the tourists than before! 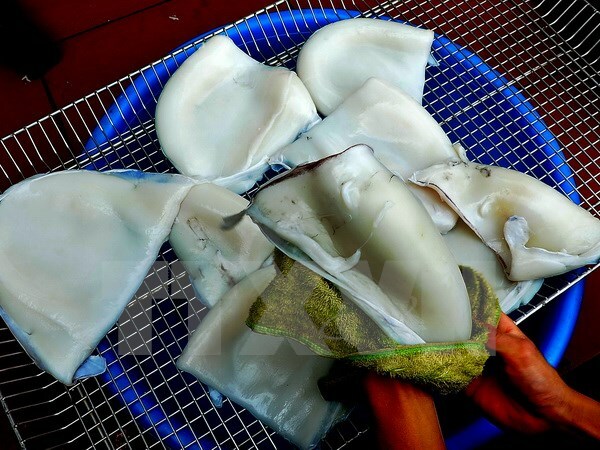 It’s nothing else than cuttlefish which is primarily used to make the whole dish, making it not only big but also flavorous and fresh at the same time. Since they’re caught in the clean Halong bay’s water, so no wonder why ‘Cha Muc Halong’ is pure, and always owning the most typical crispy taste. 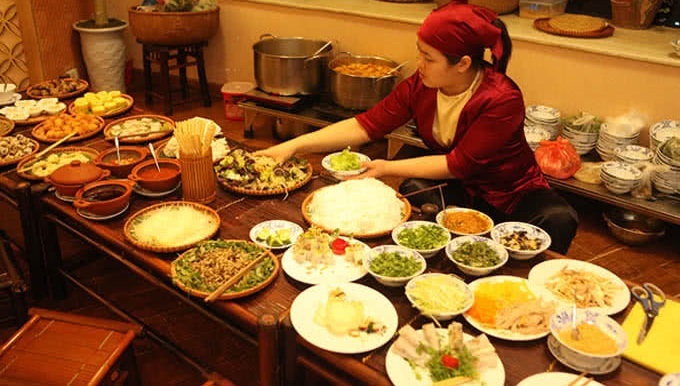 The dish is usually served with ‘banh cuon’ (Vietnamese steamed rice rolls) and the sour, spicy, and sweet dipping sauce. The combination of spices would make such an incredible impression on other diners once trying it out! 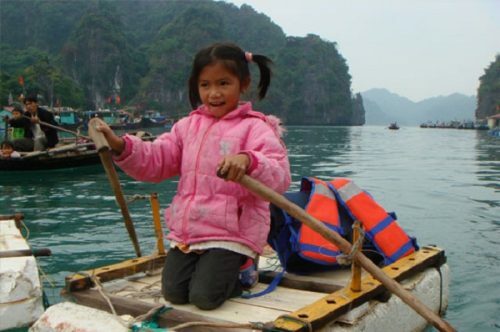 We will encounter Cha Muc Halong everywhere on the visit to the bay since the sea here gives us a rich source of fresh cuttlefish for locals to make the fried squid paste. The locals here will net the squids and then pound them by their hands in a mortar until they become a very thick paste. Next, they traditionally mix it with some pepper and fish sauce before shaping them into the real cakes. Everyone tends to eat Cha Muc Halong – the gift for travel when it’s hot and steamy to keep themselves warm on the chilly winter nights. The most common way of enjoying these cakes is to eat them with steamed rice rolls when their tasty broth naturally combines with the glutinous rice. 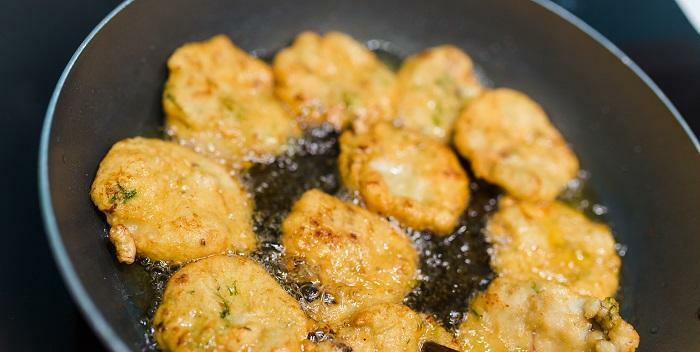 This would make Cha Muc Halong the ideal dish among others for breakfast, lunch, and dinner. 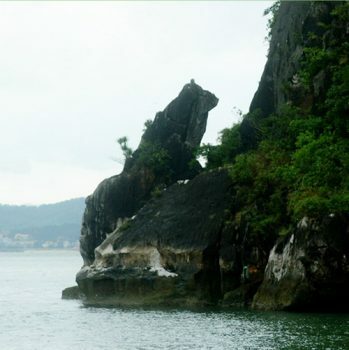 Where to eat Cha Muc Halong – The Gift For Travel? 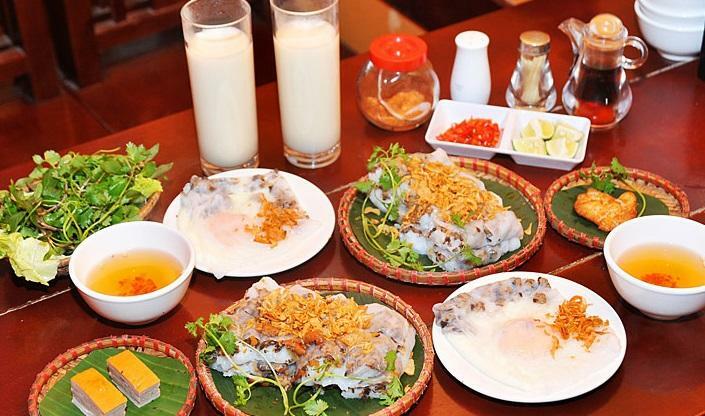 This amazingly delicious dish of culinary mastery can be found at several street stalls or eateries on Halong roads, at the market, nearby Cong Doan Hotel, or close to Bai Chay Bridge at 20,000 VND per portion. Cha Muc Halong is absolutely tasty and special, especially when it’s seen as one of the unique cuisines that is only available in Vietnam. 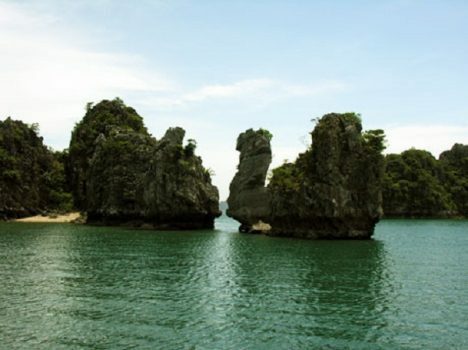 Nowadays, its fame has gone beyond this city to Hanoi, Ho Chi Minh City, and other regions of the country. If you like, just learn how to make this as a gift for your family and friends. However, remember that you have to place the squids into the stone mortar and crush them manually – This will keep the flavor of Cha Muc while we’re processing them. Wait till there is a party or any special occasion, go to the kitchen, make the dish, and then share the joy with everyone.